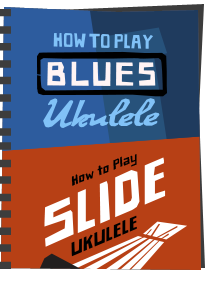 It's now absolutely clear to anyone but those with their heads inn the sand that the ukulele is now right in the thick of a huge upswing in popularity around the globe. It's quite difficult to actually go through a day watching or listening to popular culture without hearing a ukulele at some point. 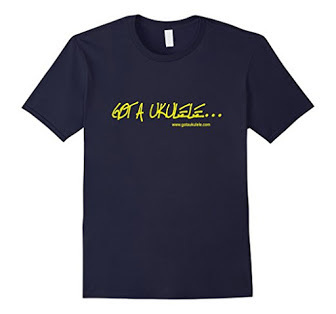 An increasing number of pop artists, tv advertisements and trailers are choosing the uke. How long will it last and will the bubble burst? The very short answer is, yes, probably, like everything, it will wane at some point, but there is no need to worry, it won't go away! All sorts of music tastes and interests come and go in popularity, but they never die, and sure enough they will come back again at some point in the future. 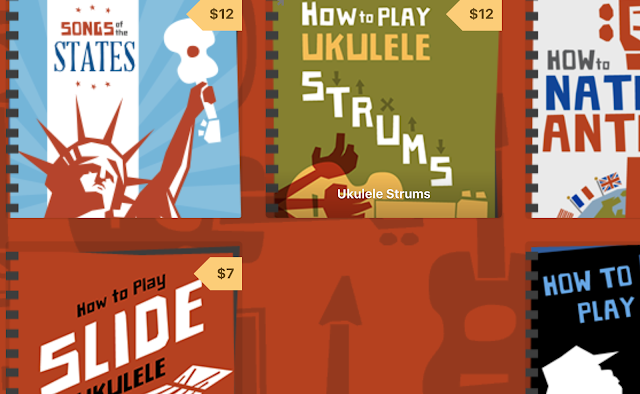 To understand where we are today with the ukulele, we need to go back in time to the last big upswing. Rolling back the clock to the 1930's and 40's and the ukulele was BIG!.. HUGE!.. These were the days before tv networks and pop charts, but the ukulele was THE staple instrument for many many music hall entertainers. 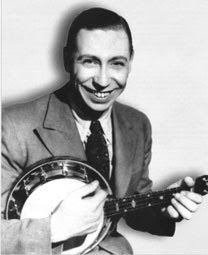 Cliff Edwards, Roy Smeck, George Formby are names you may have heard of, but there were countless others who, at some point in their act they would grab a Uke to sing and play. Music stores on both sides of the Atlantic were full of ukes, not guitars. A child's first instrument most likely was a cheap uke, perhaps made of Bakelite or later, plastic. Then, like today, the public were exposed to an awful lot of ukulele music on the radio, in the movies and on stage. Also like today, when a member of the public picked up an instrument they realised that it was a fairly simple instrument to get to grips with, benefited from being cheap and portable and was fun to play. Those attributes haven't changed a bit, only the style and the fashion. You may look back on those early artists and cringe. Whilst many people still enjoy that music, the younger players today may find it old fashioned compared to the artists today who are bringing the uke into their work, like Beirut, Noah And The Whale and Eddie Vedder. 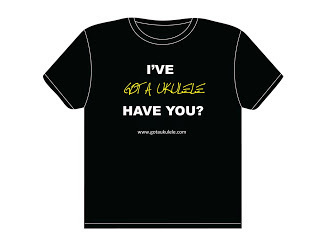 You may find, when playing a uke around the older generation, that you get ribbed by them asking to 'play us some George Formby' or similar. I have a healthy respect for George, sure, but I have to admit that I don't sit listening to his music on a daily basis. But the thing is, those guys were no different to the artists today. Those guys WERE the hit artists. Formby and Edwards were, literally, megastars and as such what they sang and played was a huge influence on the general public. It may sound old fashioned now, but then it was absolutely bang on the moment. Were you alive in those years with an interest in music, if you play the uke today I'd wager you'd have played it then and talked about it the way you do now. In fact, so big were those artists, that the uke upswing of that period was much much bigger than the one we have now. So, what happened? Several things. TV, Rock & Roll and a significant widening in media outlets and music tastes. The old time artists became marginalised and the new younger record buying public wanted rock and roll (note, Elvis played a uke, but for the kids of the 50's, a skiffle guitar was where it was at!). We then went though a period of pop, rock, metal, dance and a million other music styles and the uke got lost in the noise. In the background though there remained a faithful contingent who continued to play. Fast toward to recent years and the ukulele started to pop up on certain tracks. This certainly wasn't a case, like the last upswing, of the uke dominating the charts and the music shops, but it was quietly growing, being picked up by artists of high standing. Elvis Costello, Bruce Springsteen, Amanda Palmer, Stephin Merritt and others started appearing in gigs with a uke, or including the instrument on record. Music generally also seems to have taken a turn, in recent years, to a folkier style which the ukulele naturally fits. Whilst many of the nu folk artists may not (yet!) have included ukes in their work, artists like Fleet Foxes, Laura Marling and Mumford & Sons have achieved huge success with a folky, acoustic sound. The musical landscape has shifted a little. 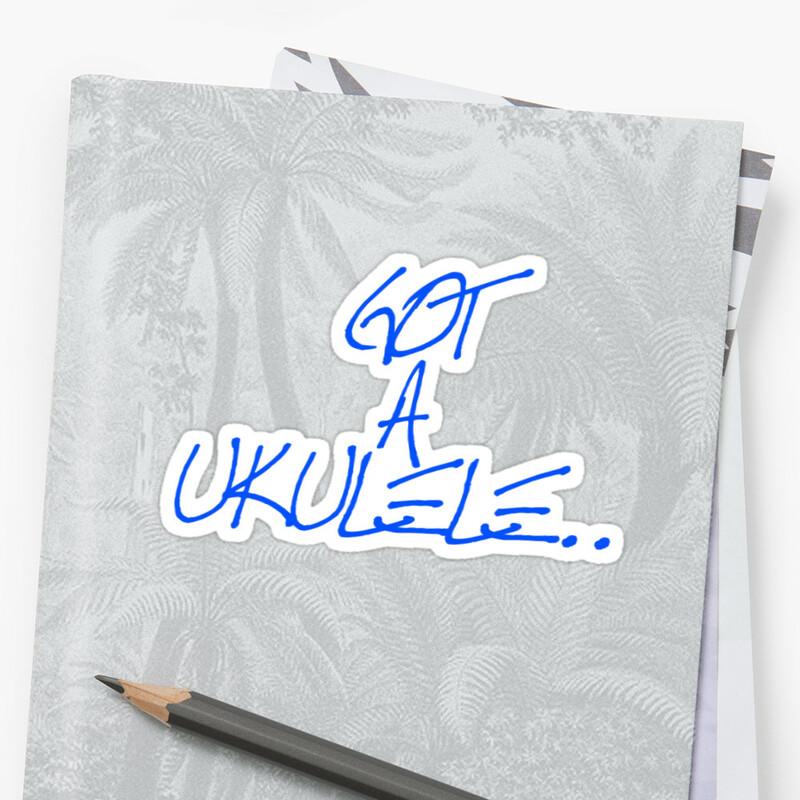 People started talking about ukes, looking for ukes and searching out anything they can on the Internet to learn more. 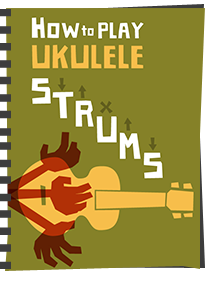 Forums, clubs and blogs started appearing at an incredible rate, and judging by the membership numbers on the main uke forums, a massive number of people out there were wanting to play. The upswing was in full 'swing'. In a single hour long programme on TV recently I watched selected highlights of the Cambridge Folk Festival. 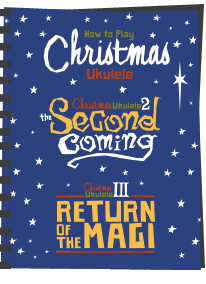 I saw about 6 or 7 acts and counted 5 ukuleles. 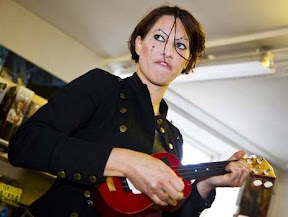 Amanda Palmer of the Dresden Dolls, a nu punk outfit with which you would never associate the ukulele, released an EP of uke songs and now regularly gigs with one. Eddie Vedder, lead singer with the rock band Pearl Jam released a whole album of uke tracks. These two releases are not examples of what started the upswing but are examples of artists taking advantage of it. Would Eddie Vedder have had success releasing a ukulele album in 1995? I think not. So behind the world of celebrity it started to grow. For the general public the same attributes that got people hooked in the 1930's held true. Cheap to buy, easy to get started with, portable and fun. What wasn't to like? This current upswing is different though, as we live in different times. I can't see the ukulele ever reaching the heady heights it achieved in the 30's and 40's, there is too much competition, too many music styles out there. It's likely to be an instrument you just continue to see regularly, that new bands try out and include once in a while. But that's fine by me, and it may actually serve to keeping the interest going longer or even indefinitely. As a humble non-celeb though, does any of it matter to me? Perhaps not. At the end of the day I play because I enjoy it. If the world turned off the uke tomorrow, this player wouldn't. Once you are a player, it's not about the fashion of the day. Some established players choose to poo-poo the new "fad" they see with younger players, but that doesn't bother me either. Whatever it takes in getting people playing music (on any instrument) is ok in my book and not to be sniffed at. We should remember that those young players who start today may turn out to be the grandparent who passes on a uke to a grandchild some 50 years hence and, in turn, starts another generation on the road with the Uke!